Everyone knows they ought to be eating well, exercising and getting enough sleep. But when they take the elevator up one flight of stairs, drive six blocks instead of walking and skimp on sleep to watch the end of the big game, it’s their little secret. I’ve been testing Fitbit, a tiny $99 device with a motion-detecting sensor that, when worn, digitally records one’s distance (walking or running), calories burned and steps taken—as well as sleep patterns. The Fitbit wirelessly sends the data to its Web site, fitbit.com, for storing these minute-by-minute details. And the site has space where users add details like food and water consumption so it provides a more accurate picture of calories burned versus calories consumed. I’ve been using Fitbit almost nonstop for the past week. I occasionally forgot to wear this lightweight tracking device because I was dog-sitting for a friend’s puppy and barely remembered to wear my shoes, much less Fitbit, as we dashed out the door for walks at 5:30 a.m. But after just a couple days of using Fitbit, I got hooked on the idea of keeping digital tabs on myself, and I liked looking back at my activity log over a period of time. I started taking the long way walking to and from my Washington, D.C., Metro stop. Rather than rolling my chair over to the printer to grab a printout, I stood up and walked the four feet over to it so I could log a few extra steps. The idea of tracking one’s own fitness is nothing new, as anyone with an old pedometer will tell you. But Fitbit’s technology makes it easier to record and store data, and its corresponding Web site analyzes the data in relation to personal information like gender, age, weight and height. Unlike some other products, it attempts to track your body’s activity while you’re asleep and awake, rather than one or the other. For instance, the $29 Nike + iPod Sport Kit specifically monitors running or walking; the $399 Zeo Personal Sleep Coach records people’s brain waves to analyze sleep behavior. The $99 Fitbit has a motiondetecting sensor and measures distance, calories, steps and sleep patterns. But the Nike + iPod and Zeo offer Web components that Fitbit currently lacks. The Nike + iPod lets you upload your workout details to see how you stack up against others or to compete against friends. The Zeo, too, lets you upload your data to its Web site, where sleep patterns can be analyzed and daily coaching tips are offered. Fitbit data is automatically transferred to Fitbit.com, but for now, this site isn’t particularly social and doesn’t offer as much in-depth personal analysis and coaching. The site doesn’t allow you to use your data to interact with a community of other users. The company says it plans to launch its online community by December, giving people a forum for anonymously comparing their data or working with a group toward a goal, like losing a certain amount of weight. And while the Fitbit.com site is free, the company is considering plans to charge a monthly fee for additional personal data analysis and coaching—a feature that may launch early next year. At two inches high and a half-inch wide, Fitbit reminded me of the rectangular iPod Shuffle that clips onto clothing. It weighs just four-tenths of an ounce. The device also has a tiny holster for a firmer hold. I used this holster just to be on the safe side and the combination was still so small and weightless that I often forgot I was wearing Fitbit. While sleeping, I wore a Velcro wristband that held the device in place. Fitbit Inc. says the wrist is the best place to measure activity during sleep; let’s just hope you don’t dream about conducting the Vienna Philharmonic. A button on the Fitbit shuffles through four blue screens that show calories, distance (in miles), steps, and a Tamagotchi-like flower that grows when your activity increases and shrinks when it decreases. This flower learns your behavior over time, so if you start working out heavily, it raises its standards and won’t grow as quickly. Along with its holster and sleeping wristband, Fitbit comes with a base station—a small USB-connected stand for charging. 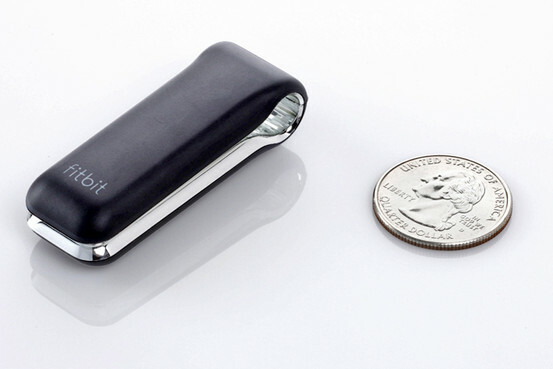 The battery takes an hour to fully charge and lasts five to 10 days. Battery status can be checked through Fitbit.com. First-time Fitbit setup isn’t as easy as it should be, though. Unlike some USB devices, this one doesn’t come with preloaded software, so you have to go to Fitbit.com/start to download software for the Mac or PC. This allows the plugged-in base station to act as a receiver: Whenever a Fitbit is within 15 feet of a base station plugged into a computer that’s turned on and has Fitbit software installed, its data is automatically sent to Fitbit.com in 15-minute intervals. The device will hold seven days of minute-by-minute data and 30 days’ worth of daily data, so you don’t have to worry about losing everything if you aren’t near your base station for a while. Using the device is as simple as moving; it’s always on—there’s no on/off button. Setting the Fitbit to record sleep sessions is almost as easy: You press and hold its button for two seconds until “Start” appears; do the same until “Stop” appears when you wake in the morning. The data that show up on Fitbit.com reflect the device’s 3-D motion-detecting sensor. Rather than simply counting your steps, Fitbit can accurately read your motion intensity and therefore sorts motion into sedentary, lightly active, fairly active and very active. Running with the dog registered as very active movement, as did my power-walking trips to the Metro. Predictably, my time spent writing this column registered as sedentary. I got up and did five minutes of jumping jacks, which were recognized on the Web site minutes later as very active movements. If you change data on Fitbit.com, like your weight, this transfers to the device so it’s calibrating as accurately as possible. According to my sleep records, I wake up often while I sleep—11 different times in one night—but don’t remember doing so. I wanted to know more about these different sleep states, but Fitbit doesn’t analyze that sort of thing. Fitbit.com bases its Web-site information on biomechanical studies performed by government agencies and universities over several years. It sets goals for each person according to his or her base metabolic rate, which is determined by gender, age, weight and height—all details that users can opt to enter, or not, during setup. 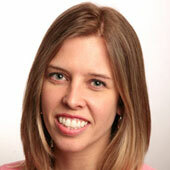 On a typical workday, I met 80% of my calorie-burning goal and 71% of my miles-traveled goal. All of these goals can be adjusted from what Fitbit.com sets. An easy-to-read pie chart displayed my four levels of motion in color-coded percentages. Extra activities and food consumption can be manually added, and though bookmarking tools make it easier to do this, I opted not to do this. 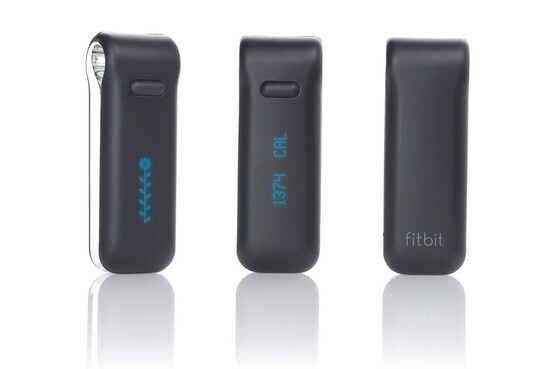 Fitbits began shipping at the end of September and will continue shipping to customers who pre-ordered the devices. In January, Fitbit Inc. will start delivering new orders and Fitbits will appear in retail stores.